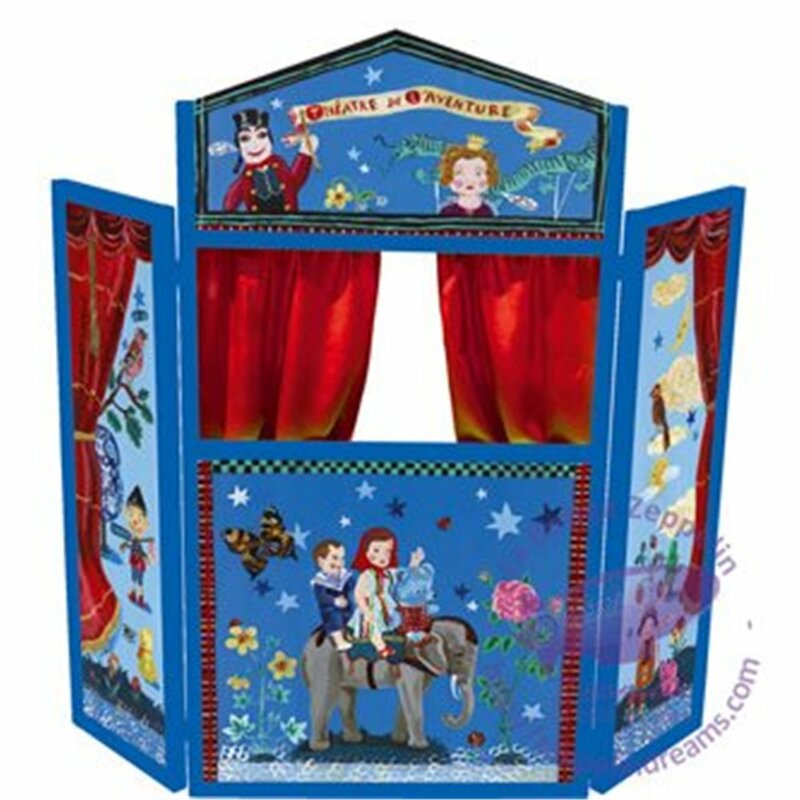 Large and colorful wooden theatre. Foldable. Fabric curtains. 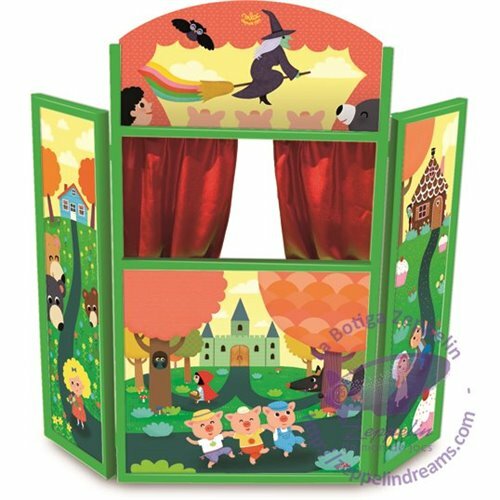 Perfect to get started in the world of puppetry.